The AUF School of Law was established in response to the clamor for quality legal education in Central Luzon. The establishment of the School earned approval from the AUF Board of Trustees on August 19, 2003 during its 56th Regular Meeting presided over by Pampanga Archbishop Paciano B. Aniceto, D.D., in his capacity as Chairman of the Board. The approval was followed by immense planning and preparation that spanned three years which included the construction of the AUF Professional Schools Building, now home to the School. 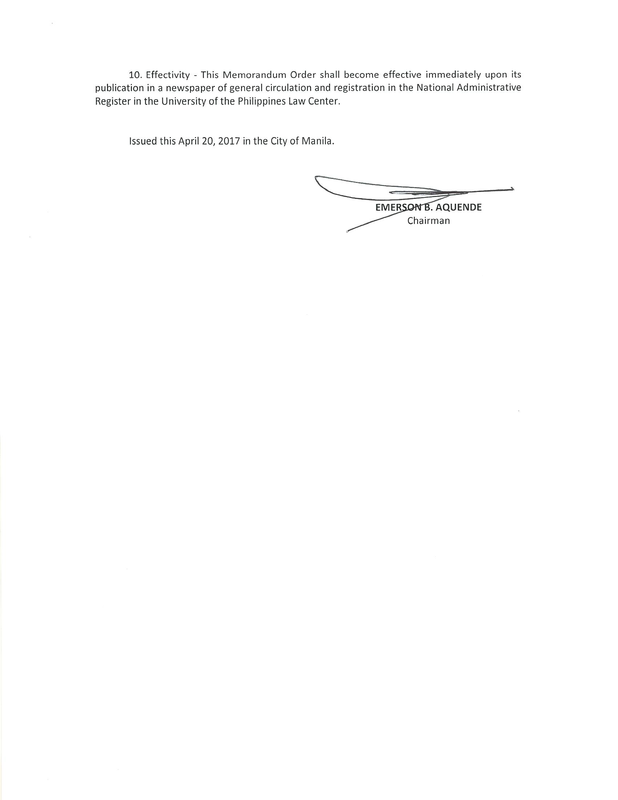 The Commission on Higher Education, upon the recommendation of the Technical Panel for Legal Education, resolved to grant AUF the permit to operate the School of Law on March 13, 2006. Under the leadership of Retired Supreme Court Justice Jose C. Vitug as Founding Dean and Atty. Domingo M. Navarro as Vice Dean, the School boasts of a roster of faculty members composed of jurists and distinguished law professors. The School is equipped with a modern law library, a moot court and state-of-the-art facilities which provide for a conducive teaching and learning environment. The School of Law received a Certificate of Recognition from the Legal Education Board for its notable performance in the 2012, 2013 and 2014 Bar Examinations as certified by the Office of the Bar Confidant. Itwas listed as the top performing law school among those with 19 or less examinees. Today, the School of Law is consistently among the Top 10 law schools nationwide and the No. 1 in Northern and Central Luzon. The AUF School of Law envisions to emerge as the center of excellence in legal education north of Metro Manila. Responsive to technological advances, globalization and socio-economic conditions. Contribute to the advancement of the country’s legal and judicial systems in the light of current national and international developments. Applicant must have obtained a general weighted average of at least 85% subject to the provisions in paragraph 6. 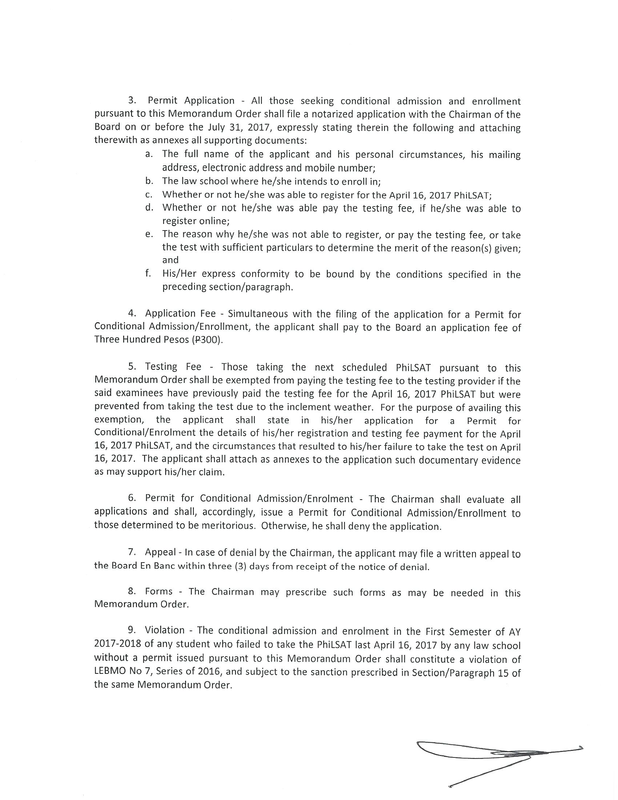 Applicant must successfully pass the AUF Law Admissions Test which also includes two essays whose topics shall be determined by the School. Applicant must hurdle an evaluation interview before the Admissions Committee. 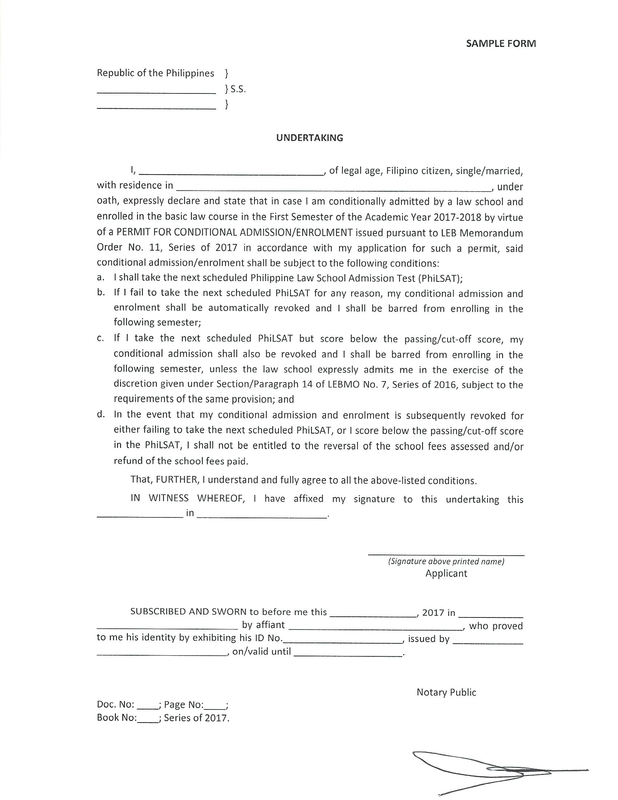 An applicant who does not meet the required general minimum weighted average of 85% but produces satisfactory essays and possesses a satisfactory character reference may be admitted "on probation" if he/she passes the AUF law admissions tests and the evaluation interview before the Admissions Committee; however, the student may apply for a change status from probationary to regular after completing the first semester, with an average of at least 78% with no failures or incomplete grade in any subject, provided further that the School Dean, on the recommendation of the School Admissions Committee, evaluates and decides on the application for change of status. Transfer credits may be allowed on a case-to-case basis at the discretion of the Dean, in consultation with the School of Law Admissions Committee. Two(2) recent, identical passport-size pictures. Visit the AUF School of Law to obtain information and other details. Pay the testing and application fee at the AUF Accounting Office. 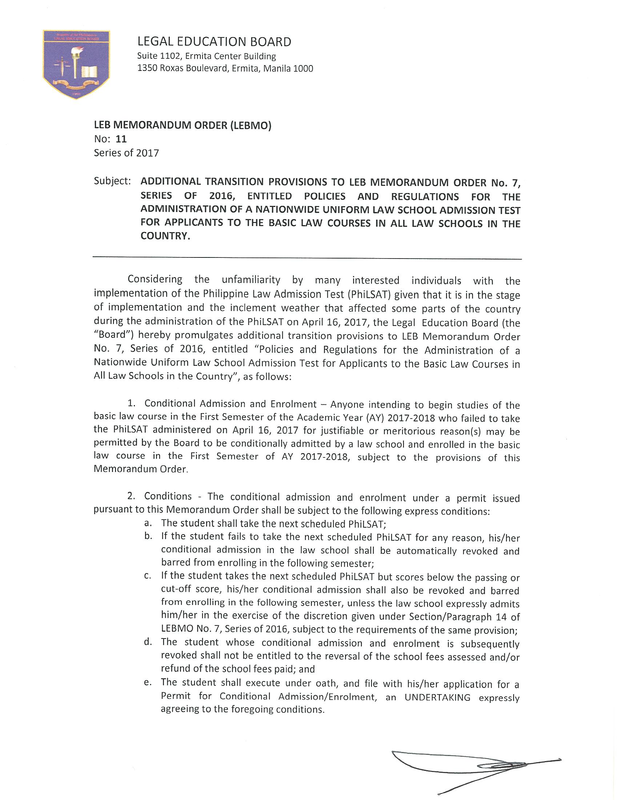 Present the official receipt to the School of Law and get Application for Admissions Kit. 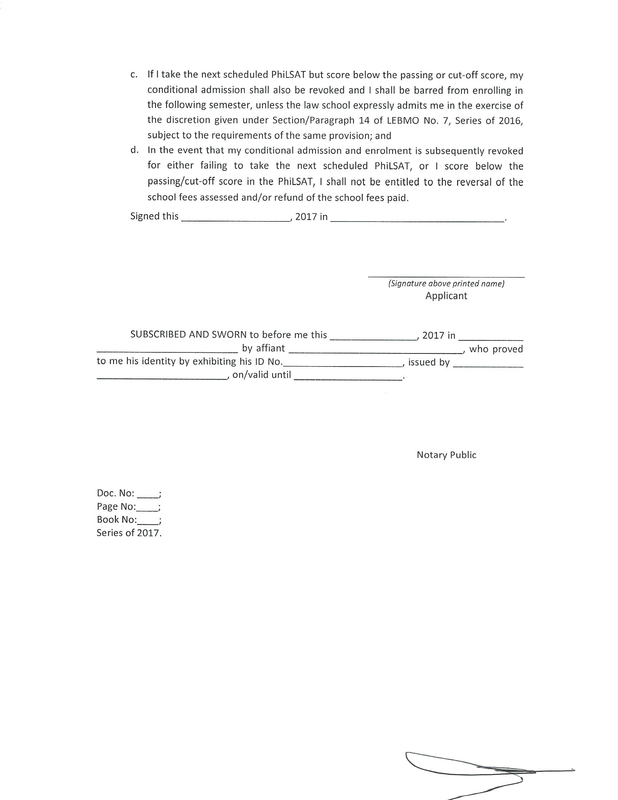 Accomplish application forms and complete other requirements. Take AUF Law Admissions Test on scheduled date. Report for interview on scheduled date, time and place. Await results of application for admission by mail. 1. Download and accomplish AUF-Form-SOL-01. 2. 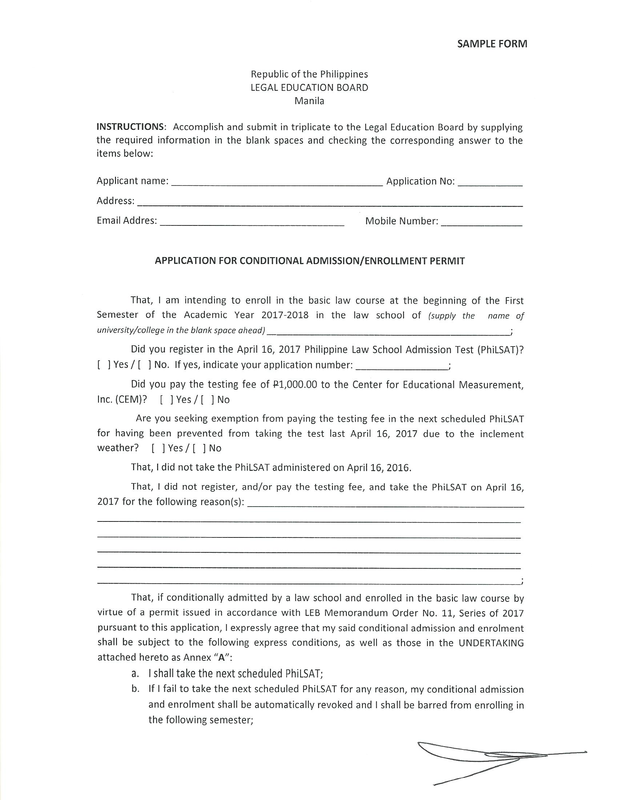 Download AUF-Form-SOL-02 and have it accomplishedby two former professors/advisers or former employers/supervisors, and returned in sealed envelopes to the AUF School of Law. Prof. Domingo P. Disini, Jr.
Justice Hugo E. Gutierrez, Jr.
Judge Sixto C. Marella, Jr.
Justice Jose L. Sabio, Jr.